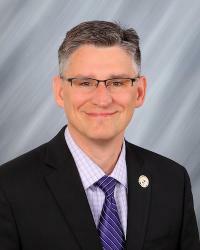 John F. Vallentine, Ph.D. reports to the Provost and Executive Vice President as the Associate Provost for Faculty at the University of Northern Iowa (UNI). His responsibilities include advancing the university vision, mission and strategic plan in relation to faculty activities; providing faculty personnel support to Academic Affairs Division through collaborative interactions with all constituents; enhancing coordination of administrative processes and procedures for faculty recruitment, retention and recognition; serving as division liaison on faculty personnel matters; assisting with implementation and communication of academic policies and procedures; providing employee relations support; participating in implementation and administration of the faculty handbook, collective bargaining negotiations and contract administration; providing leadership development for departments; interfacing with Board of Regents and completing Board reports; elevating diversity in faculty hiring, retention, and review; and serving as Academic Affairs representative on academic space issues, policy review committee and the threat assessment team and other committees. Dr. John Vallentine, Professor of Music, formerly served as Director of the UNI School of Music from 1998-2017. The school gained national and international recognition, growing to include 58 faculty members and more than 300 music majors. During his tenure as Director, the $23 million dollar Gallagher-Bluedorn Performing Arts Center opened and a major $12 million-dollar renovation project was completed for the music building, Russell Hall. The School of Music endowment in support of faculty and students grew to more that 5 million dollars. From 1991 to 1998, Dr. Vallentine served as Director of the UNI Panther Marching and Symphonic Bands, and taught applied clarinet lessons. He also taught undergraduate and graduate music education and conducting courses. Other positions previously held were at the University of Kentucky, University of Wisconsin-Platteville and in the Waterloo, Illinois public schools. 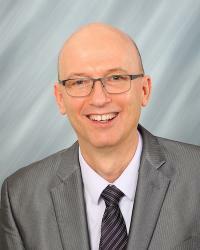 Dr. Vallentine, a clarinetist and pianist, has published research on applied music teaching behaviors; presented on technology and distance learning; served as an accompanist; and conducted bands, offered master classes, and performed throughout the Midwest and internationally in Costa Rica and Russia. His bands were selected to perform for NFL football games for the Green Bay Packers. He currently serves as a National Association of Schools of Music Visiting Evaluator for universities located throughout the United States. Professor Vallentine holds a Ph.D. in Music Education from the University of Kentucky; a Master of Music Degree in Conducting from the University of Northern Iowa; and a Bachelor of Music Education Degree from Southeast Missouri State University. Dr. Vallentine resides in Cedar Falls, Iowa with his wife Diane, a music theorist, saxophonist and composer, and has four grown children. Patrick Pease reports to the Provost and Executive Vice President for Academic Affairs. As Associate Provost for Academic Affairs his responsibilities broadly center on advancing the University’s vision, mission, and strategic plans related to academic affairs. This includes providing leadership in the curriculum development and review process; coordinating academic program review as mandated by university and Board of Regent policy; functioning as a liaison with the Board of Regents on academic policy; administering policies and regulations affecting students, including oversight of the student request and grievance policies; implementing of the Academic Master Plan and coordinating engaged learning initiatives; guiding university-wide STEM initiatives; and assisting the Provost in various projects and committees, both internal and external, as needed. Dr. Pease, a Professor of Geography, previously served as the Head of the Department of Geography from 2006 to 2017. During that time he led efforts to create several new degree programs including a BS degree in Geographic Information Science and developed an academic focus on unmanned aircraft systems. He also led the effort to create and build the Environmental Characterization and Analysis lab. He also served as the Interim Dean of the College of Social and Behavioral Sciences during the 2016-17 academic year. Dr. Pease earned his B.S. and M.A. degrees in geology from Indiana State University and his Ph.D. in Geography from Texas A&M University. His academic specialization is geomorphology and unmanned aircraft remote sensing. He has published research involving field work from around the world, geographic theory, and teaching methods. He has served on advisory boards for National Science Foundation and Leopold Center for Sustainable Agriculture and was the Editor of the journal The North Carolina Geographer for five years. He was also a recipient of a National Council for Geographic Education’s Distinguished Teaching Achievement award.